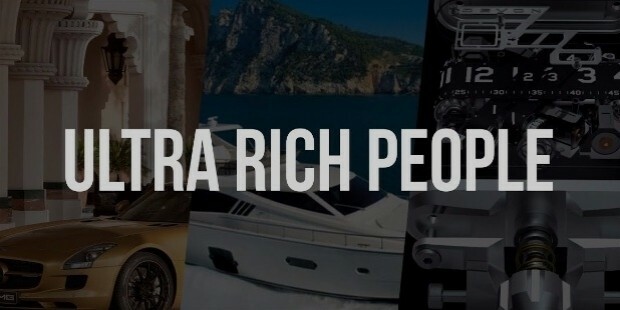 Although not everyone wants to admit it out loud, most people secretly covet the lifestyles of the rich and the famous. Whether people care to admit it or not, there’s just something about the world’s one percent that inspires those in the ninety-nine percent to work extra hard and reach their stratospheric levels of fame and success. Each and every single ambitious and career-driven individual in this world aspires to achieve the kind of affluent lifestyle where they could live just like the people whom they look up to with admiration. But did you ever stop to think about how the members of the world’s one percent socialize with each other in the digital age? Sure, some famous personalities may be present on the usual social networks such as Facebook company, Twitter company, and Instagram company, but did you know that there are plenty of other digital realms out there that are exclusively for use by the rich and famous? Hard as it may be to believe, there are certain social networks currently in existence where the membership is strictly open to those with millions to their names. In fact, such exclusive social networks are specifically designed and aimed towards those chosen international elites who would prefer to mingle amongst their own kind—namely, people whose annual net worth is no less than six or seven figures high. You know things are taking a turn for the totally surreal when even the richest denizens of the world think that Facebook is reserved only for the poor people, and they don’t care in the slightest that the biggest social network in the world was created by a multi-billionaire. So with the biggest apologies to Mark Zuckerberg and to the other founders of the usual digital hangouts, here are some of the known social networks that the rich and famous actually use on a regular basis and continue to live their privileged lives on a virtual scale. If there was a truly pioneering social media site for the world’s super wealthy in the vein of Facebook, then that would have to be ASmallWorld (stylized as ASMALLWORLD and shortened as ASW). Founded by Swedish aristocrat and tech entrepreneur Erik Wilhelm Wachtmeister, ASW launched in the same year as Facebook—which was 2004—and at the time of its release was considered by the media as the go-to place where the elites of the world are able to socialize privately online. Because of its complete exclusivity, there are only two confirmed ways one can become a member of ASW: either a person must receive an invitation from an existing ASW member with reputable standing, or fill out an online application which is then subject for consideration by the website’s governing board. Once membership has been confirmed and approved, users can get to enjoy a range of exclusive perks such as invitations to private ASW-hosted events held in major cities around the world. When you’re a part of the one percent and you’d like to explore the dating scene, then Raya is definitely the app for you. 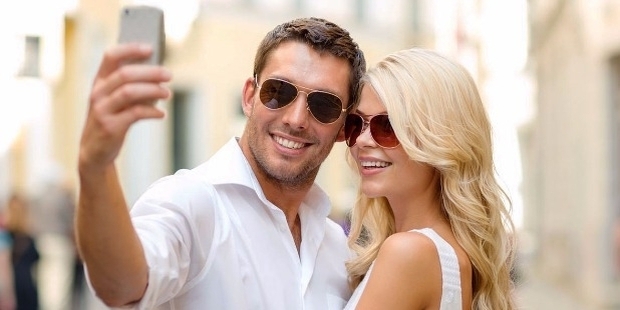 In fact, this mobile dating app is distinct from other well-known dating apps like Tinder because it’s a private community that has to screen prospective members first before membership is granted. 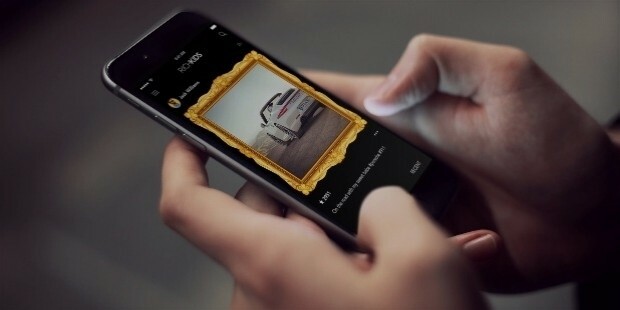 One of the site’s requirements is for interested applicants to send in their Instagram accounts, where approval will be judged based on how strong the user’s influence is with other people who use Instagram. 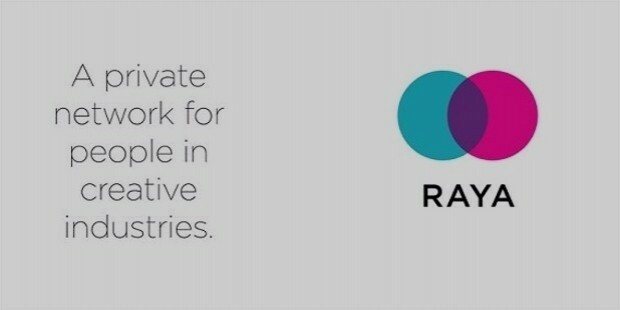 In fact, due to the Instagram prerequisite, Raya reportedly has several famous celebrities who are existing members of the app. These include everyone from actors and musicians to fashion models and popular personalities from various creative industries. The opportunity to snag a date with a big-name celebrity on Raya might be intimidating for some, but there are also other beautiful and interesting people on the site who aren’t exactly celebrities but have managed to get in thanks to their strong Instagram following and influence. 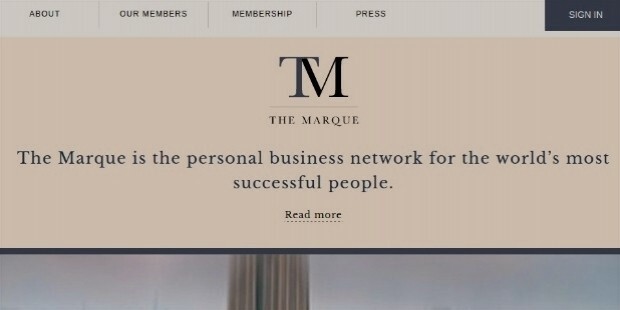 The website’s tagline really says it all: “The Marque is the personal business network for the world’s most successful people.” And really, who could ever argue with that kind of bold and declarative marketing statement, especially if you’re a one percenter looking to rub shoulders with other successful individuals? Think of The Marque as a sort of upper-crust version of LinkedIn or Meetup where a person will get the unprecedented chance to network with other top businessmen or executives from around the world. Similar to other exclusive social media places, gaining membership into The Marque is strictly by recommendation only, so unless someone there extends a coveted invite, then chances are you won’t be able to pass through their digital doors. The site has thousands of high-profile members from across the United States, the United Kingdom, and in Asia, with its headquarters located in London. Furthermore, retaining member has a price tag, as users are required to cough up £1,000 (or approximately US$1,300) annually to ensure their continuing existence within The Marque. The beautiful and stylish people certainly don’t live life the way mere mortals do, and the same goes with the way they use social media online. 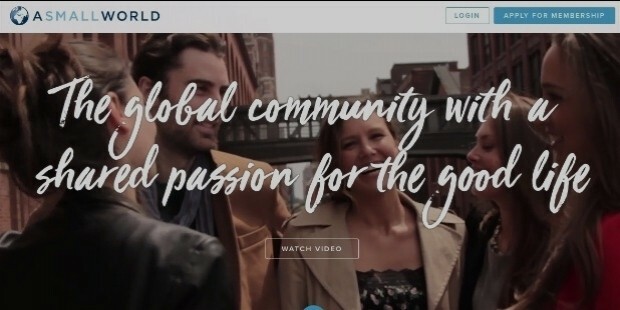 One of the top options for the world’s fashionable and jet setting elite is ELEQT, where the site claims that it is the “exclusive social discovery network for the world’s trendsetters.” A quick look at the site’s landing page will give you a clue as for how ELEQT is different from its peers, as it places a high emphasis on having members attend ultra-exclusive and super posh parties and events everywhere. International jet set luxury travel is the name of the game as far as ELEQT is concerned since members will have unfettered access to all the best places to socialize around the world. From dining in a three Michelin-starred restaurant in France to partying in a newly opened nightclub in Japan, members of ELEQT will get first dibs on the best of the social jet setter lifestyle. Membership is, of course, by invitation only, but the site also extends membership if one is able to pay an entrance fee of roughly €3,300 (or US$3,800 give or take), plus monthly or annual retainer charges. The kids and young adults of the super wealthy are, for the most part, definitely have the world as their oyster thanks to the lavish attention given to them by their parents. And because the younger generation is more technically savvy than their elders, they’re more inclined to use apps that cater to the younger crowd to lend that aura of coolness which gives them the feeling of superiority. And for most young people, they often turn to apps like Instagram or Snapchat for their social media purposes. 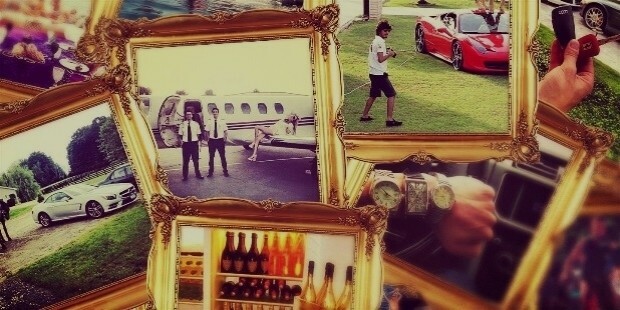 But youths of the one percent are on a whole other level thanks to the aptly named Rich Kids app.